When cold and flu season approaches, try making this soup to help boost your immune system. 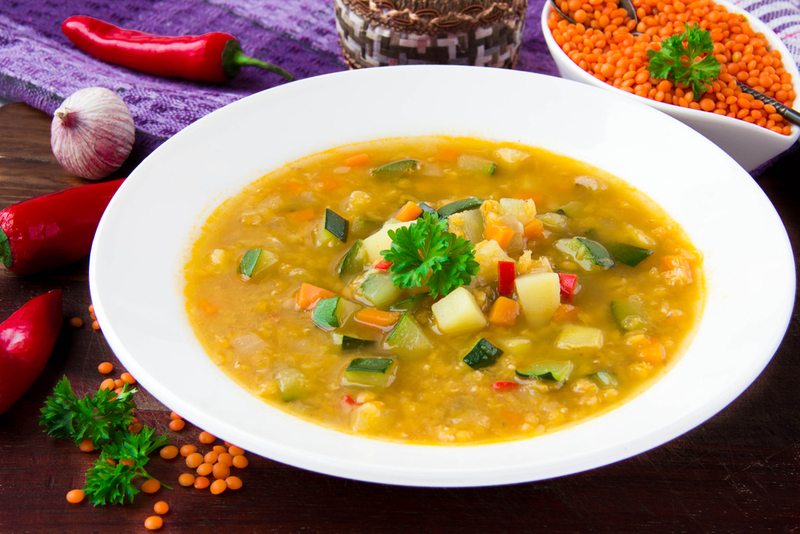 Place vegetable stock and lentil in a large pot, bringing to a boil, then reduce heat and simmer covered until lentils are almost tender (20-25 min). Add sweet potatoes, celery, onion, garlic, and tomato paste, bring to a boil then reduce heat, cover and simmer for 8 minutes, or until potatoes are tender. Stir in the Swiss chard, mushrooms, cumin, turmeric, ginger, thyme, salt and pepper, cover and return to the boil. Immediately reduce heat and simmer until all vegetables are tender. Stir in lemon juice. You can blend the soup, if you like a smooth consistency.